Over the next few years, advanced collaboration products and services will make their way into the millions of smaller meeting rooms (a.k.a. huddle rooms) in order to create flexible, productive work environments. Wainhouse Research believes that huddle rooms should be an integral part of every organization’s meeting room and collaboration strategy. 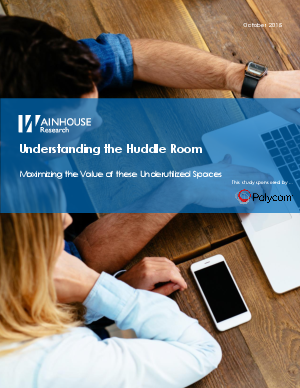 Download this study by Wainhouse Research to get insights into how to maximize usage of small meeting spaces.